We have another PC gaming review from the Germans at Roccat, known for their solid gaming accessories, and this time around we have the gaming keyboard, Isku FX. 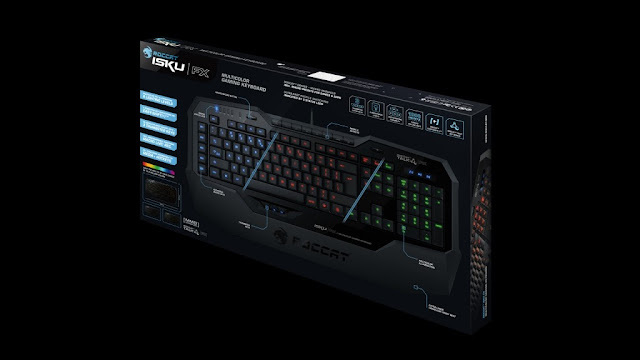 Similar to it's predecessor, the FX offers the same great features as the Isku, but this time around, for a nominal fee, it also provides different keys and now illuminates in a variety colors. 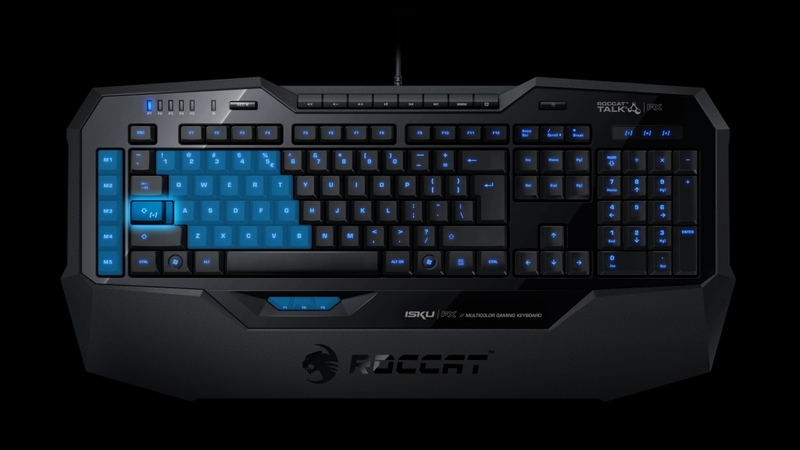 Also new is the Roccat Talk FX feature which lights the keyboard effects based on in game actions to enhance the gaming experience in dark settings. Much like the Isku before it, you still get the 3 Easy-Shift[+] Zones, 3 Thumbster key, an incorporated wrist guard, and Macro Live! Recording. Time to swap the Isku out for the Isku FX and see how it goes. 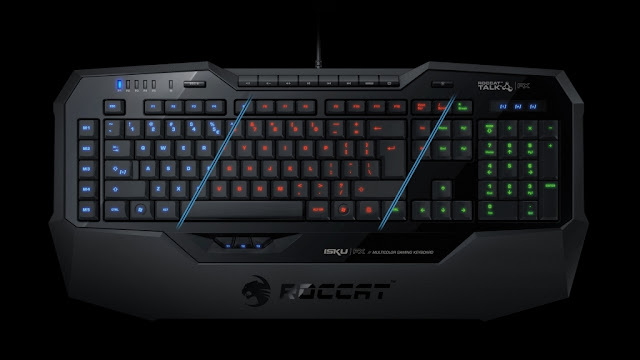 Of course the most noticeable feature out of the box aside from being able to change the colors in which the keyboard glows would be that the keys are easier to see when not lit, although with six brightness levels and a total of 16.8 million different colors, there is almost no reason to not light it up. 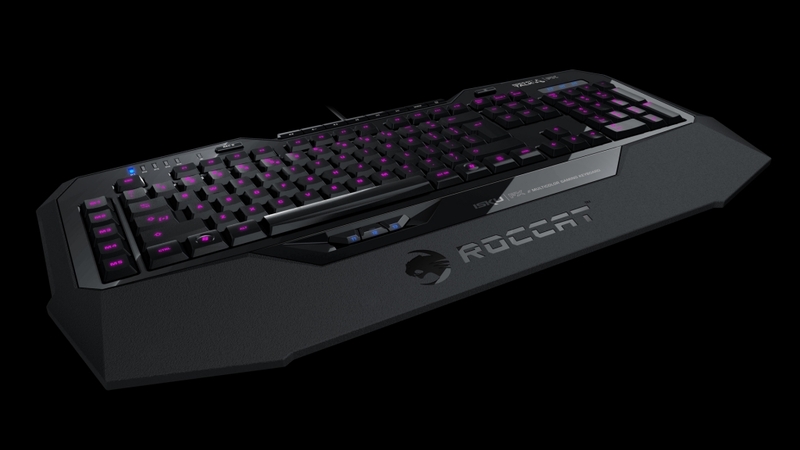 The Roccat Talk FX is really damn cool how the lighting effects change based on attacks, damage, on screen events, and matchmaking. The driver interface as always is smooth as butter, making it fast and easy to change settings, layout, colors, and achievements. Speaking of achievements, I was not so keen this time around when deep in concentration and volume cranked and then flying out of my seat when being told what acheivement I just got. In the end, if you are already a proud owner of the Isku and it is still fully functional, I would not suggest purchasing the FX. However, if you are in the market for a gaming keyboard upgrade, I would highly recommend putting down the extra money for the AMG version of the Mercedes of gaming peripherals. Please note that this is not a mechanical keyboard, but each button press has a nice feel to it and once again, I will say this until I am blue in the face, but the Isku FX driver does not support Mac, sure it works but you do not get the same customization options. The Isku FX is is available now for the price of $109.99.